As temperatures begin to plummet and the heating bills rise, we struggle to keep ourselves warm amongst the blast of arctic air that has frozen the country. The Met Office warned of temperatures as low as -10C in some areas, and that these icy conditions are set to continue for the remainder of January. Luckily for StressNoMore shoppers, the threat of the cold is not something to worry about! Last week the Daily Mail released its top items for keeping toasty in the cold weather. Among these picks was the Beurer Heat To Go Snood with Powerbank. The Daily Mail article described this Beurer Snood as “a soft grey cableknit snood with a tie fastening at the top”. 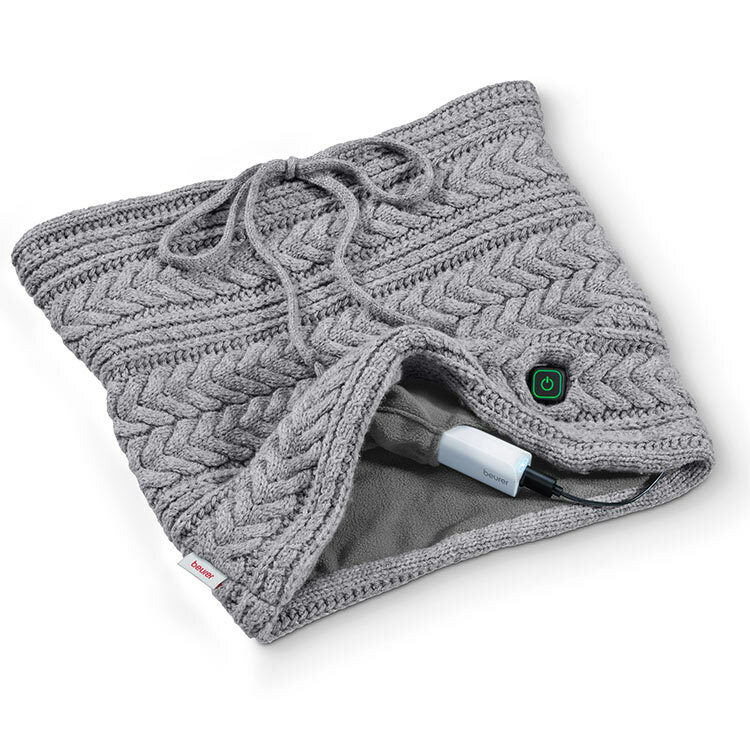 Make sure that you avoid the frost at all costs – shop the Beurer Heat To Go Snood with Powerbank now!